It's one thing that I've been pregnant for nine months and another thing that I've been too busy, to pay attention to the look and health of my hair. I have long hair and it had been rebonded and colored several times that's why my hair is dry, lifeless, and frizzy. So the quickest way to manage it is to just tie it or keep it up in a bun. 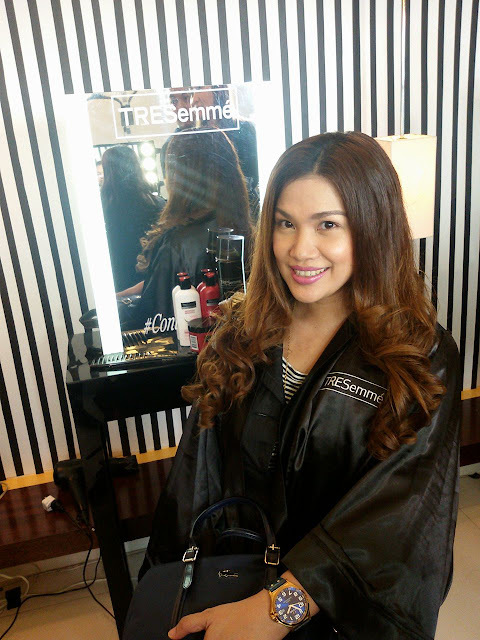 It got a treat one day when I came to the TRESemme Keratin Smooth's first ever Salon-to-Home Soiree. 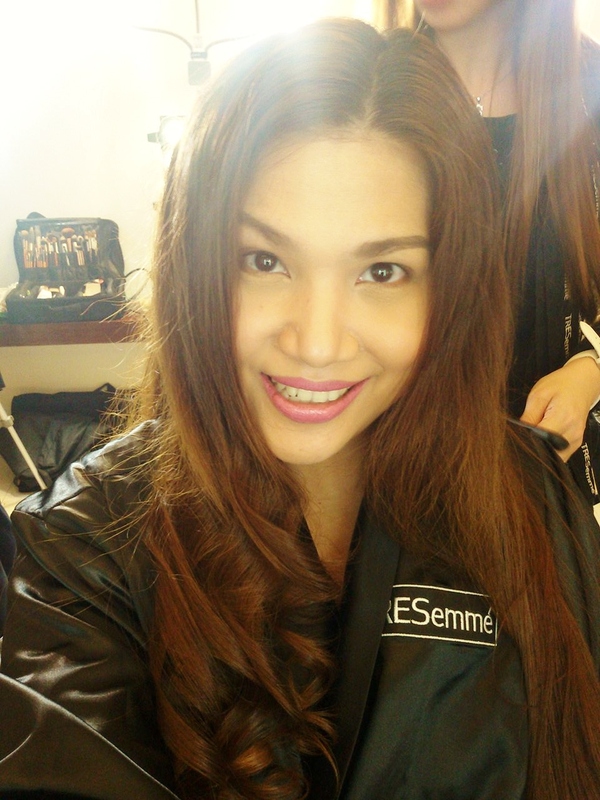 TRESemme held an event where I was invited to experience firsthand what salon-gorgeous hair feels and looks like. 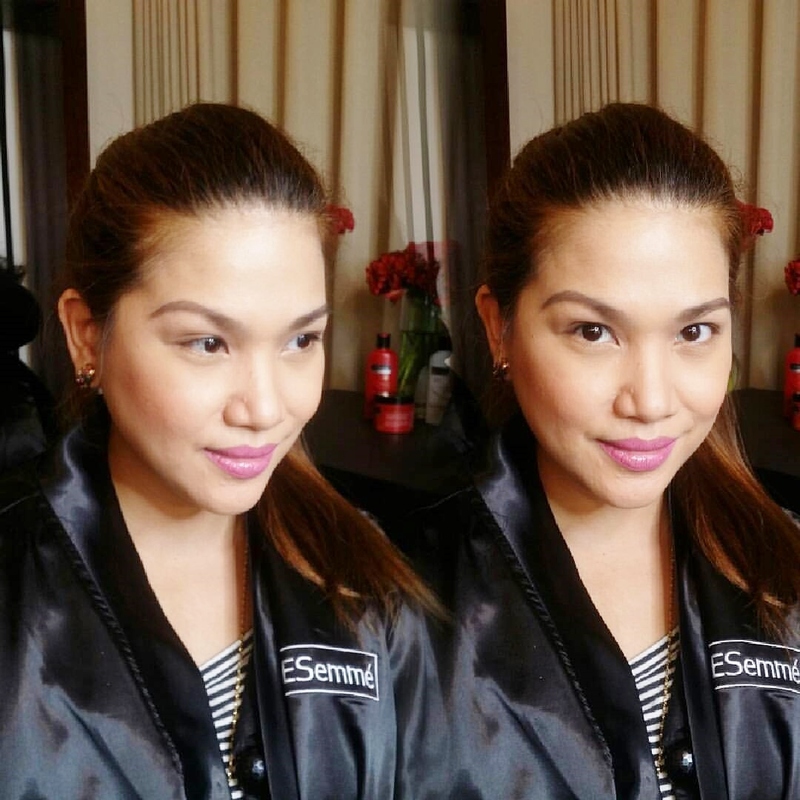 First, I had my make-up done by Lars Cabanacan. You'd see that I came to the event with my hair tied all up, because as I said, it's the fastest way to manage a frizzy hair. 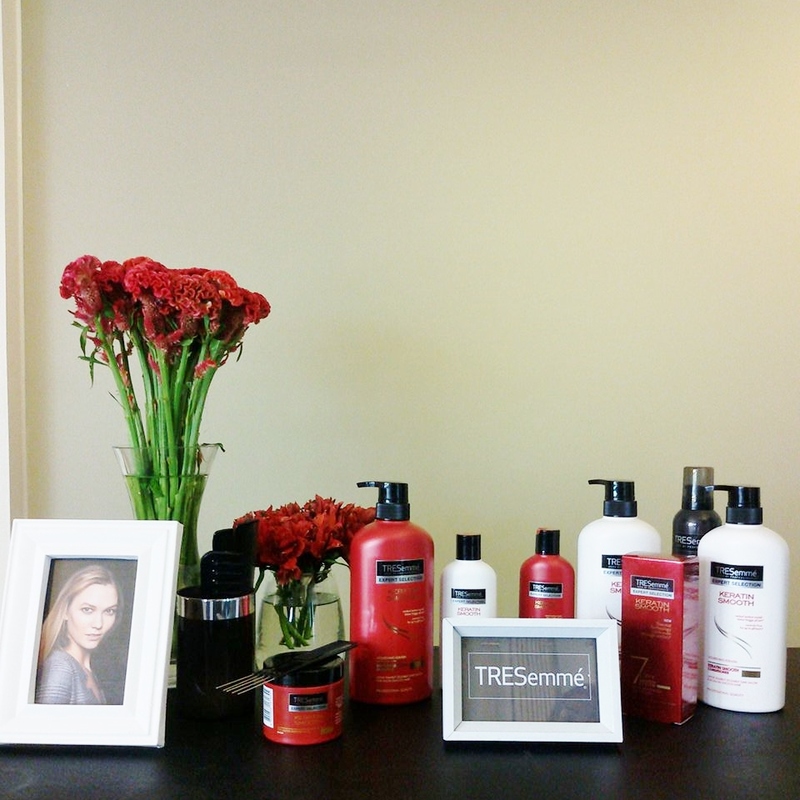 Next I tried out some TRESemme products on my hair and voila, it definitely looked salon-gorgeous after the styling! I couldn't believe it could be that beautiful, smooth, and protected. And the good news is, I could make my hair look like this everyday! 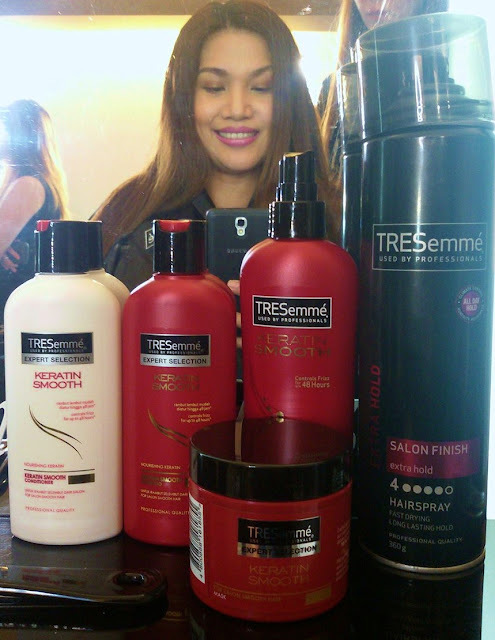 During the event, TRESemmé welcomes salon expert Henri Calayag to the family, as their newest TRESemmé hair professional. 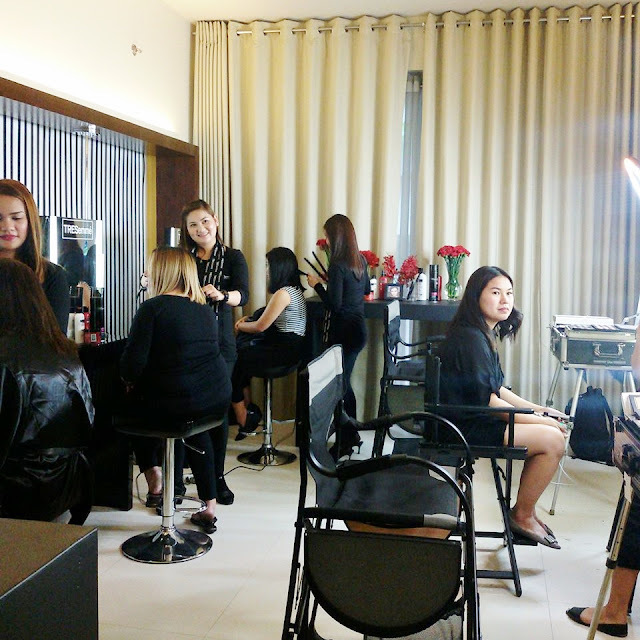 During the event, Henri talks about the latest hair trends as seen in New York Fashion Week. First, use the TRESemmé Keratin Smooth Shampoo, as it thoroughly cleanses the hair and scalp, and smoothens out your strands with keratin. Follow with the salon-grade, TRESemmé Keratin Smooth Conditioner to lock in your smooth, straight hair into place. For even better maintenance, try the TRESemmé Keratin Smooth Treatment Mask as your weekly indulgence. The mask intensely replenishes each strand with keratin and makes sure you control your frizz! Seal the deal with the TRESemmé Keratin Smooth Heat Activated Treatment, which locks in extra shine for longer, plus provides instant smoothening effects, and works great for both natural and color-treated hair any time of the day. If you’re styling your hair for a special day, use the TRESemmé Keratin Smooth Flat Iron Spray, which acts as added protection from heat styling tools. Later on, resident TRESetter and top fashion and lifestyle blogger Tricia Gosingtian shares her secret how she can control her look, and take control of her lifestyle too despite the hectic schedule of meeting with different people and keeping up with various deadlines as she prepares for her big day. Now, I can say goodbye to stick-straight unnatural strands or wiry and coarse hair. With TRESemmé Keratin Smooth, you #ControlYourFrizz for better and for longer.